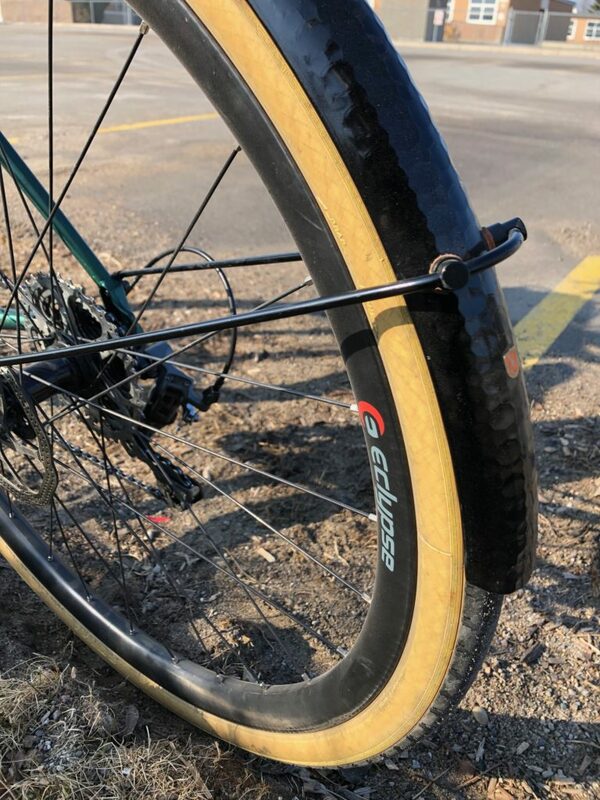 You know when you’re scrolling through your favorite social media app and a random photo (or more than likely, a photo of a bike) just stops you completely in your tracks? Well David’s Rove ST did it for us. It could have been the stunning stock gloss racing green and bronze paint job, it could have been the skin walls or maybe those stealth black fenders. Really though, we are pretty sure it was a combination of all of the above. 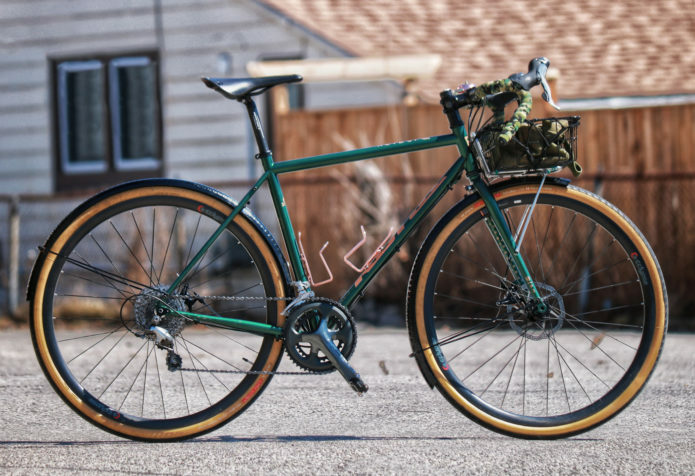 David purchased his Rove ST as a frameset and built it up into the dialed bike you see here. Photos are a little scarce but he did slide us just enough to show off some of the cooler build details. 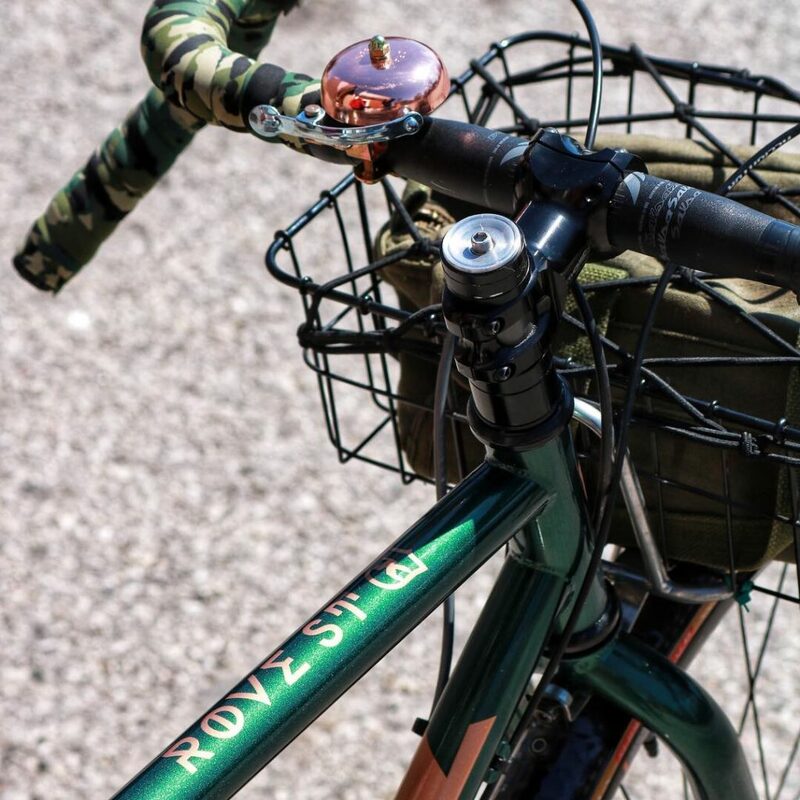 Kicking off with the cockpit, the bike is sporting Salsa Wood Chipper bars, wrapped with Easton’s classic camo bar tape and mounted on a timeless Thomson Elite stem, the final touch being a Nitto front rack. Wheels are 700c carbon Eclypse’s shod with Soma 38m Supple Vitesse’s. Braking is courtesy of TRP’s flat mount Spyre C cable actuated brakes. 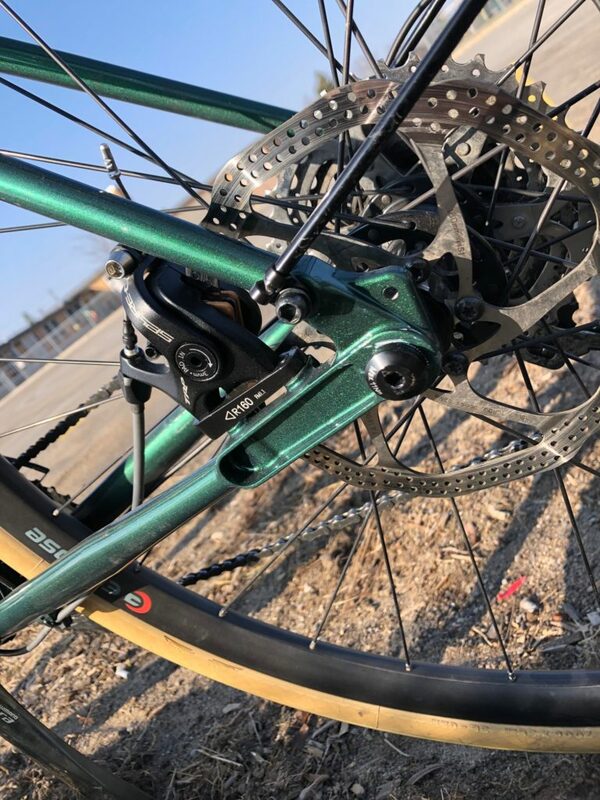 Those rad black fenders are from Velo Orange and keeping the build functional and modest David opted for a Shimano Tiagra 10 speed drivetrain. The Brooks Cambrian C17 pops up all the time on Roves and Sutra’s for good reason, it’s one comfy and durable all-weather saddle, plus it’s just the perfect marriage of Brooks classic styling and the modern world. 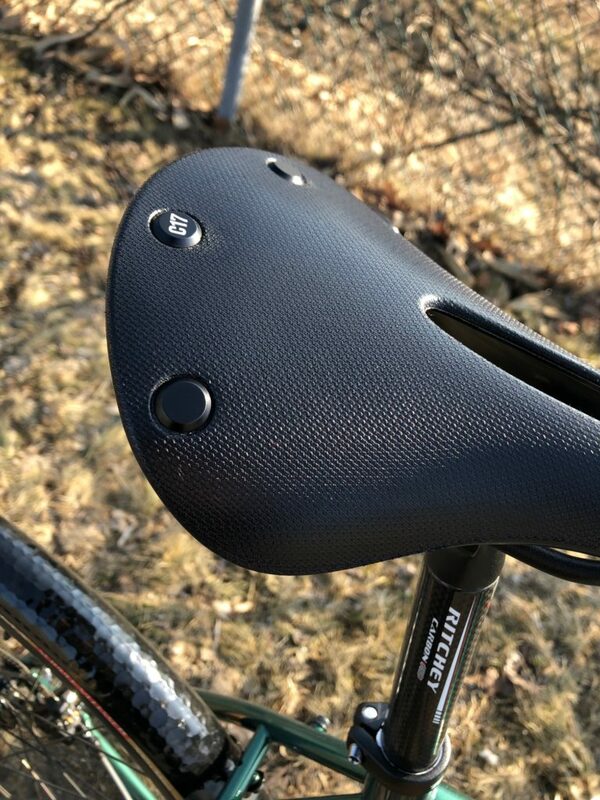 The C17 sits atop a carbon Ritchey seat post. 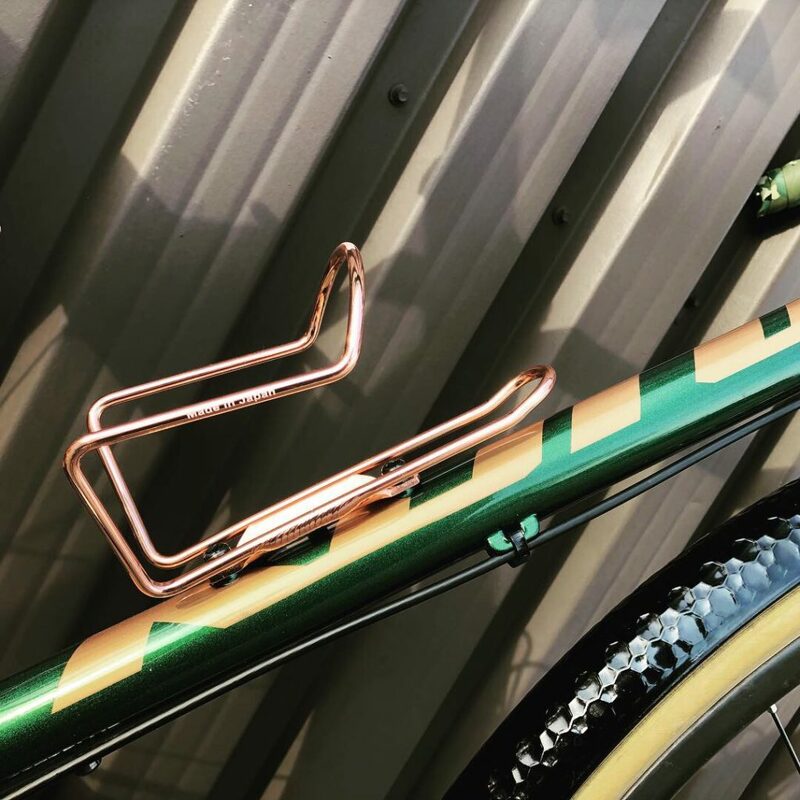 And then the whole bike is rounded off with a pair of super classy copper Tanaka bottle cages. Is there anything you’d do different if this was your steel Rove?